Description: Mastersmith Kevin Harvey began this utility knife by forging his own Twist pattern damascus to shape. 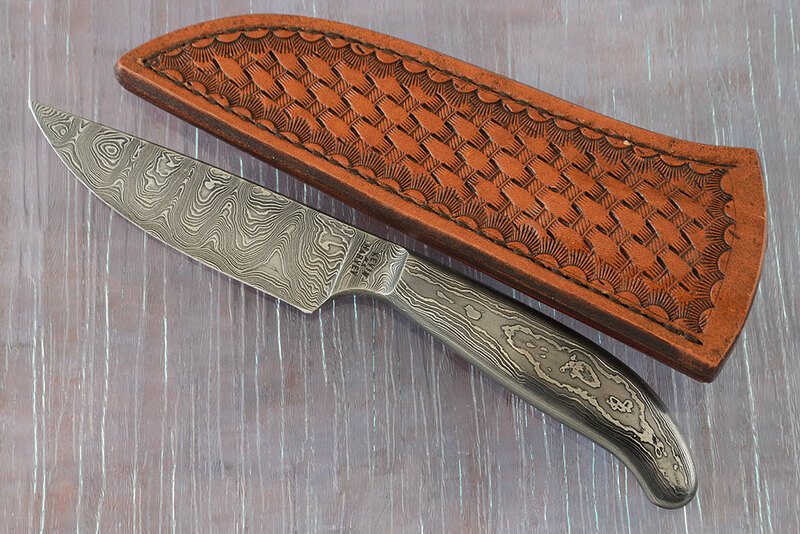 By forging the damascus from carbon steels, Kevin ensures a keen, long lasting edge. 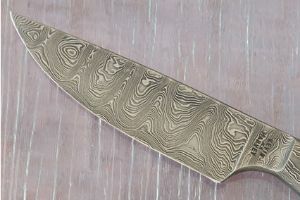 Showing his mastery in the forge, Kevin forged the entire knife from a single billet of damascus. 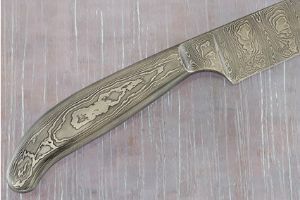 Creating a fully integral knife is tremendously difficult. 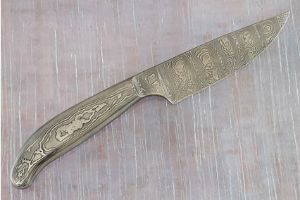 A distal taper to the blade provides optimal balance. A differential heat treatment results in a strong edge with a supportive spine. 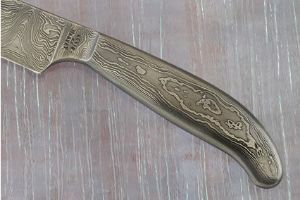 The handle swells just past the ricasso , providing both a comfortable hold and lightening the weight. 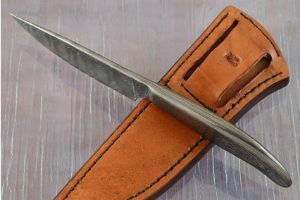 The leather sheath protects the edge either stored in the pocket or belt and keeps the knife close at hand. This knife will be equally at home when used daily in the kitchen, carried out in the field, or cherished in a collection.